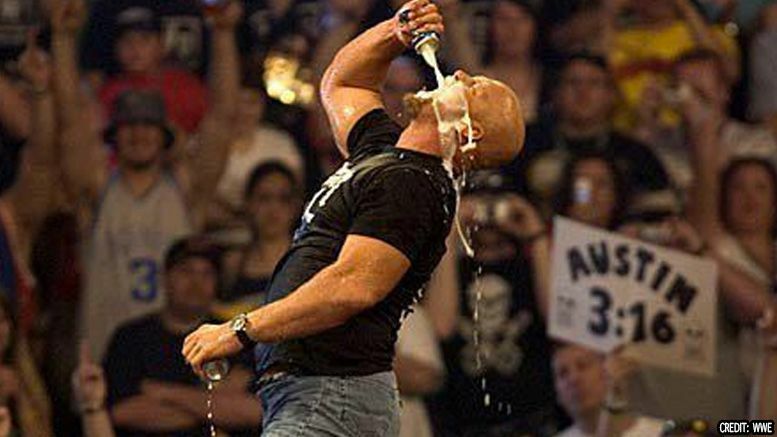 Prepare to crack open a fresh Steveweiser in celebration, because “Stone Cold” says reports stating he’s given up alcohol were blown WAY out of proportion. In case you missed it, the internet was in a panic last week after Steve Austin mentioned on a recent podcast how he hadn’t consumed alcohol for 14 days while on an eating program. Naturally, the news that Austin had given up beer came as a shock to his fans, especially since he has his own IPA, so the man himself cleared the air on the latest episode of his show. He then clarified that his current sobriety has only been a temporary measure while on a diet. “When I’m trying to meet a deadline, if I’m trying to get in shape, then I’ve gotta eliminate the alcohol if I wanna burn fat,” he said. He also makes it clear that he’s doing DDP Yoga … not just regular yoga like some articles said. Check out the clip below, then listen to the full episode on Podcast One.